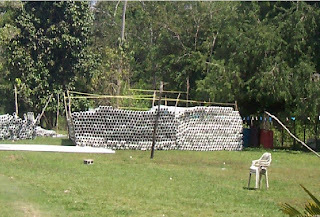 The water project for Crooked Tree Village will commence on the third week of April 2009, with the delivery of all the pipes and materials to the Village. According to Mr. Roger Bradley of the Social Investment Fund, bids submitted are being evaluated for the tank, the pump house and the pipe installation phase of the project. Hon. Edmond “Clear the Land” Castro, Minister of State in the Ministry of Works said by the end of June 2009, the residents of Crooked Tree Village should have running water in their homes. Mr. Castro also said that all the young men and women would be able to get jobs from these projects if they are willing to work. Love the village post and happy for the progress that I see in the village and congratulations to the cricket team and the girls softball team. I am so proud of the Crooked Tree Softball Team, Crooked Tree sports rock this year, it is not only heathy to play some form of sport but, it is the best fun ever. Congratulations to the cricket team and the baseball team, and finally I will be on top of the world when I see the final result of the water project, it has been a long time coming and actually see the supplies coming in to the village now gives me hope that we will have running water soon. Thanks to all that are pushing this project. God Bless. Linda, you are doing a wonderful job on your blog!